THE 38TH ANNUAL ATLANTIC ANTIC is THE street festival of all street festivals! Located in what many consider the heart of Brooklyn, the Atlantic Antic brings together thousands of locals and neighboring borough inhabitants to Atlantic Avenue to celebrate the long standing tradition of food, art, music, shopping, festivities, and fun. Well…and of course beer! The Atlantic Antic is a living tribute to the myriad of heritages that coexist in Brooklyn. Spanning four neighborhoods from Hicks Street to Fourth Avenue, the Antic is the largest street festival in New York City! From start to finish, Atlantic Avenue is transformed from vehicle infrastructure to a sea of people and entertainment, offering something for everyone. Comprised of local and national vendors intertwined with the offerings of trendy restaurants and boutiques, the Atlantic Antic features live music stages that promote free performances from various cultural genres. Families enjoy pony rides, storytelling, and face painting on an entire block dedicated solely to kid-friendly activities. 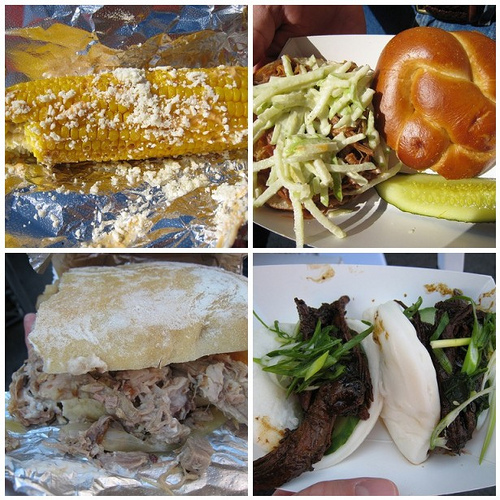 Best known for its eclectic delicacies, the Antic highlights an array of food from around the world in addition to street fair favorites like funnel cake, sausage sandwiches, and roasted corn! Of course what would a smorgasbord of finger foods and gourmet edibles be without a proper libation to wash it all down? I’m glad you asked! Once a year Sixpoint brings an exclusive recipe out of the vault, and brews it just for this one day. 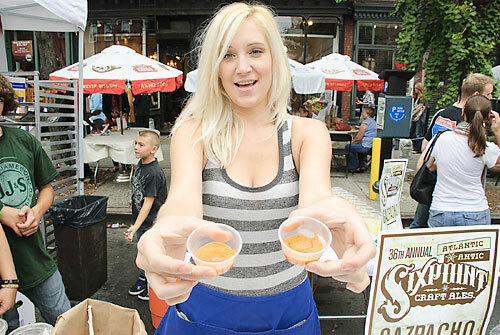 The Atlantic Antic Amber is featured prominently by many vendors up and down the avenue as the official beer of the festival. Described as an easy drinking copper colored ale, the beer showcases citrus and caramel found in the nose carried through into the flavor. A dry hoppy finishes as you make your way any of the 9 vendors which will be serving up this once a year treat. Be sure to check out our own Sixpoint tent too while your down there. Festivities begin Sunday, September 30th from 12-6 rain or shine. See you on the block!